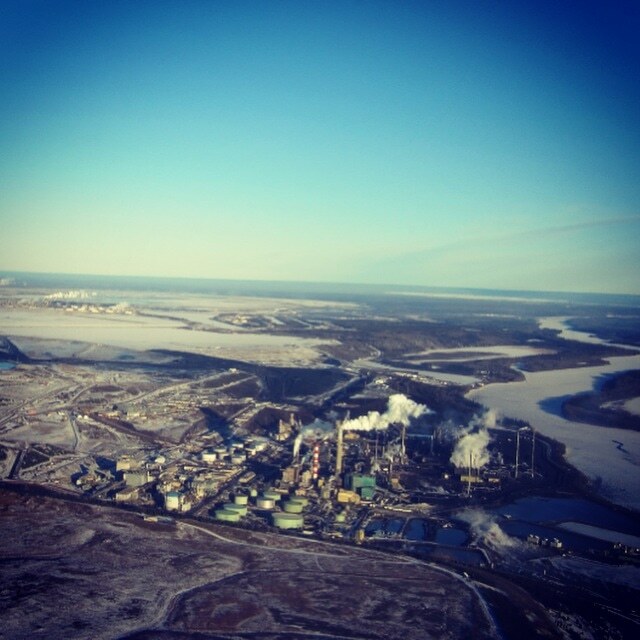 Researchers from government agencies and academia have collaborated on a new research project, which revealed that climate warming has contributed to an increased growth of algae in the Athabasca oilsands area of northern Alberta. The research team carried out the study at 23 remotely located lakes in the oilsands area, which was accessed by helicopters. As part of the study, the researchers utilized old lake sediment cores to redesign the past production of algae as well as the industrial impact on these remote lakes. The deposition of nutrients across the landscape was also determined by using snowpack samples. John Smol (Biology), Queen’s University researcher, and Jamie Summers, a doctoral candidate in the Queen’s Paleoecological Environmental Assessment and Research Laboratory co-authored the paper. One of the biggest challenges we have in environmental work is the lack of reliable long-term monitoring data. Fortunately with lakes, their sediments act like a ‘history book’, archiving past environmental changes. Dr. John Smol, Canada Research Chair in Environmental Change. Members of the research team performed a study earlier which showed that contaminants arising from oilsands activities were evidently recorded in the lake sediments, along with increasing production of algal populations. In the initial study, only six lakes were utilized and the reason behind increased algal production continued to be unclear. The latest study sheds more light on the initial work by exploring 23 lakes, which were situated 200 km away from the oilsands operations and had catchments that were undisturbed by the industry. Our approach identifies widespread increases in lake primary production that we cannot link solely to the fertilizing effects of the local industry. Rather, we find a stronger link to a warming climate, which is consistent with other studies in the region. Industrial activities still present a significant threat to freshwaters in the region, but increasing algal production driven directly by aerial nutrient fertilization does not appear to be the dominant stressor. Instead, we found much closer relationships with warmer air temperatures, which can lead to favourable conditions for algal growth, including decreased ice cover and an extended growing season. The study findings have been reported in the PLOS One journal.